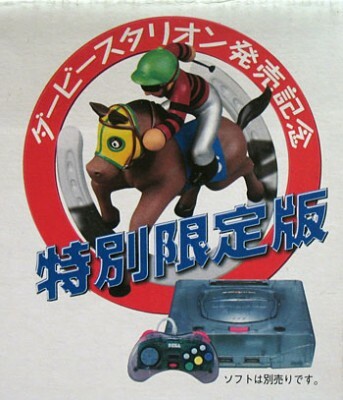 I wrote my description of the JVC V-Saturn before I wrote this, so let me say it again: this is the reason why every game collector needs to go to Japan on a regular basis. 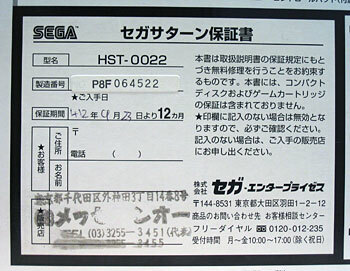 This is the rarest of all Saturns – only 20,000 produced – and I bought it new in Japan for around $40. I don’t even know what this is worth now – for all I know, not much more than $40, but I don’t even care. It’s one of the highlights of my collection, as far as I’m concerned. 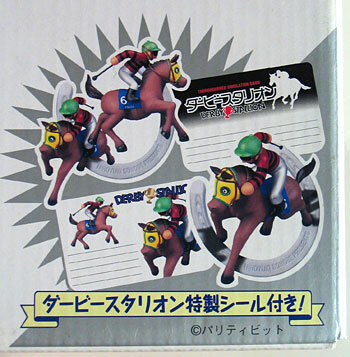 …you just get a set of cruddy stickers. That’s it! All that trouble of producing a special limited edition system for a couple sheets of stickers! 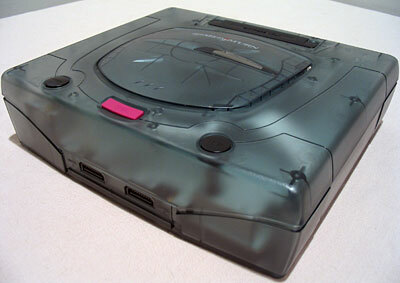 Now, there were actually two different “skeleton” Saturn models. I don’t know much about the other one as I don’t own one; only what I’ve read in the Saturn FAQ. 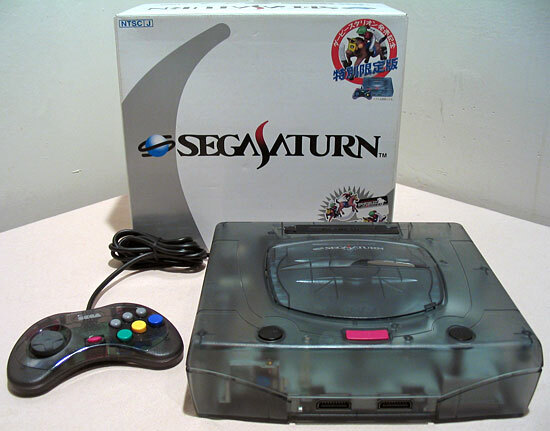 This is the second one, which also makes it the last Saturn model ever produced. If you read the FAQ about this, they describe the system as “blue”, the controller as “grey”. This is not correct at all – the system is grey, the controller is purple. The system is a lighter color grey than the earlier skeleton model, but it is plainly grey. I know you probably can’t read that, but what it says is that the system is warranteed through the store. Have a problem, you gotta bring it back to that store (stamped on the bottom) and they’ll try to fix it. If they can’t fix it, only then will they send it in to Sega. What if you move in that 12 months? You’re screwed. Now that’s just nutty. I’m told this is unusual even for Japan. I got one of those aswell and its definitly the highlight of my collection! That is one great looking Saturn. 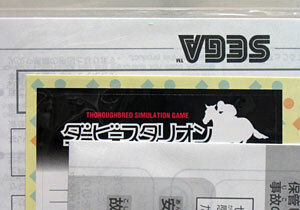 The FAQ may have been basing what they wrote on the picture on the box; it does look blue on it. Either way, that is one awesome Saturn.